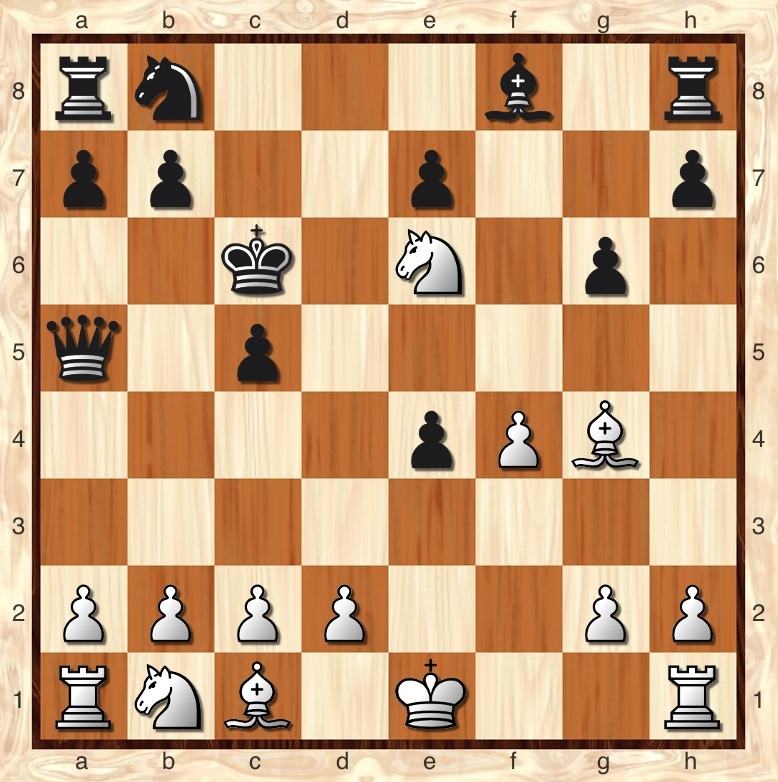 Back when I wrote my Chess Life article about the Bryntse Gambit (White’s queen sac on move six in the Grand Prix Sicilian, 1. e4 c5 2. f4 d5 3. Nf3 de 4. Ng5 Nf6 5. Bc4 Bg4?! 6. Qxg4!) 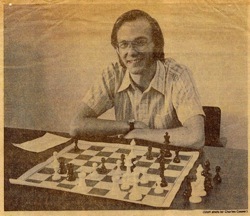 I described it as an “anti-computer” opening, because very few human players have the gumption to play the move 5. … Bg4 inviting the queen sac. On the other hand, computers routinely do it because they don’t see White’s compensation. 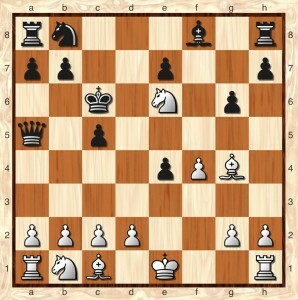 The Chess Life article described how I was able to defeat Fritz 7 and Fritz 9 using this weapon. However, computers have gotten better, and I have not had comparable success against Shredder 12. There are a couple reasons. First, Shredder varies its openings a whole lot more than Fritz used to. So I only get to play the Bryntse Gambit maybe once every fifteen to twenty games as White. Often Shredder will play 1. e4 c5 2. f4 Nc6 or 1. e4 c5 2. f4 g6 instead. Even within the opening, Shredder varies more than Fritz did. After the queen sacrifice and the followup 6. … Nxg4 7. Bxf7+ Kd7 8. Be6+ it will usually play Fritz’s 8. … Kc6, but at least once it played the weaker 8. … Kc7. (I got a winning position and botched it.) But after 8. … Kc6 9. Bxg4 Shredder has tried several different things, while Fritz invariably played 9. … e6. Shredder plays that sometimes, but it seems to like 9. … g6 best. It also sometimes plays 9. … e5!? I unfairly dismissed that last move in my Chess Life article, but it may actually be Black’s best idea, provided he doesn’t fall into the cheapo 10. Nf7 Qh4+?! 11. g3 Qxg4?? 12. Nxe5+. Of course the computer doesn’t make such stupid mistakes, and so far it has a perfect record against me after 9. … e5 10. Nf7 Qe8! While the other lines are still a work in progress, I have disabled Shredder’s main line, at least in the sense of finding a drawing variation. After its favorite move, 9. … g6, White’s best seems to be 10. Ne6 (although 10. Nc3 is also playable). Now Shredder has played 10. … Qa5 in two out of three games. (In the other game it played 10. … Qb6.) Do you see White’s (at least) drawing move? Position after 10. … Qa5. The answer is 11. b4! Now 11. … cb? leads to an advantage for White, according to Shredder itself, after 12. Bb2 followed by a3. White’s development is easy and the lines around Black’s king are opening up. So Black has to play 11. … Qxb4, and now the game is a “computer draw” after 12. Nd8+ Kc7 13. Ne6+ Kc6. In reality there is still lots to explore here, because there are several other king moves Black could make on moves 12 or 13. Shredder seems to think that they all lead to at least a slight advantage for White, and that is why it bails out to a draw. Also it is reasonable to ask whether White has to settle for the perpetual check or whether he can play for a win. It’s interesting to see Shredder’s evaluation function during the course of this very short game. Negative signs mean that the computer evaluates the position in Black’s favor. It seems a little surprising that Shredder misses 11. b4, but I should point out that this game was played on a setting of game/10 minutes. It spent 39 seconds on its 10th move, and perhaps that wasn’t quite enough for it to realize the strength of 11. b4. By the way, I have still never checkmated Shredder 12 or forced it to resign a game. I’ve won a couple games on time in drawn positions (I even wrote a blog post about the first one), but I’m still waiting for my first “real” victory.